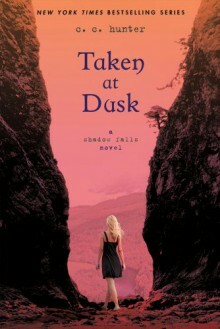 Step into Shadow Falls, a camp for teens with supernatural powers. Here friendship thrives, love takes you by surprise, and our hearts possess the greatest magic of all. Kylie Galen wants the truth so badly she can taste it. The truth about who her real family is, the truth about which boy she’s meant to be with—and the truth about what her emerging powers mean. But she’s about to discover that some secrets can change your life forever…and not always for the better. Just when she and Lucas are finally getting close, she learns that his pack has forbidden them from being together. Was it a mistake to pick him over Derek? And it’s not just romance troubling Kylie. An amnesia-stricken ghost is haunting her, delivering the frightful warning, someone lives and someone dies. As Kylie races to unravel the mystery and protect those she loves, she finally unlocks the truth about her supernatural identity, which is far different—and more astonishing—than she ever imagined. Som de to andre bøger i serien, så er jeg vidst bare faldet fuldstændig for dem :DGlæder mig til at få begyndt på den næste bog.